ksLocated North of Sunnyside, this rambler home sits on over 4 acres with view of Mount Rainier and Mount Adams. County kitchen with dining area and two pantries is open to the spacious great room, which features a wood fireplace. Master bedroom has walk-in closet and full bath, there is another bedroom near by and a full bath on the hall way, the third bedroom/den is located on the other side of the home. Two car garage with opener. Property is fenced and has a 40'X30' garage/shop on concrete slab built on 1999. 240sf loafingshed/metal building, a 18'X26' utility pole building. 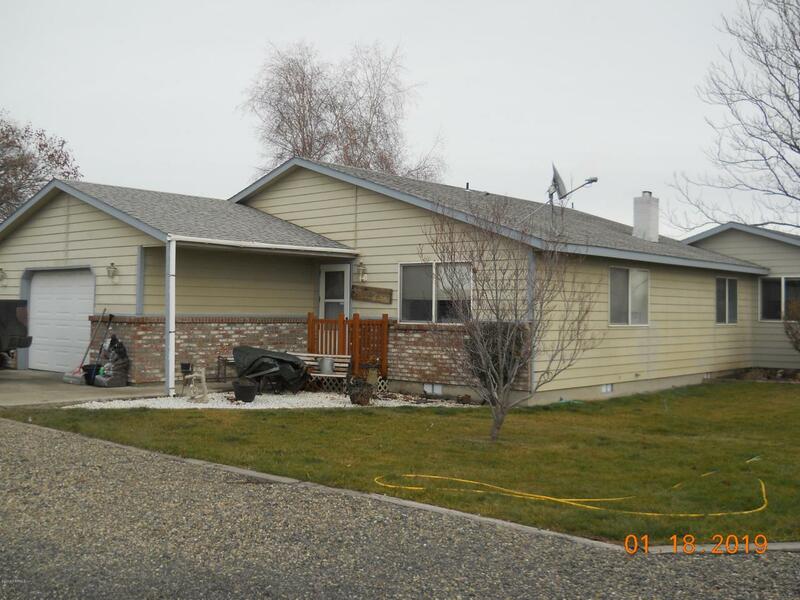 Listing provided courtesy of Gina E. Gamboa of Hearth & Home Realty Inc.
© 2019 Yakima Multiple Listing Service, Inc. All rights reserved. The data relating to real estate for sale on this web site comes in part from the Yakima MLS© IDX Program. IDX information is provided exclusively for consumers' personal, non-commercial use and may not be used for any purpose other than to identify prospective properties consumers may be interested in purchasing. Information is deemed reliable but is not guaranteed accurate by the MLS or Results Realty Group. Data last updated: 2019-04-20T08:48:38.93.